The Getty Center is an administrative center, research center, and display center for the Getty art collection. It sits on a hill overlooking Los Angeles in a billion dollar complex. 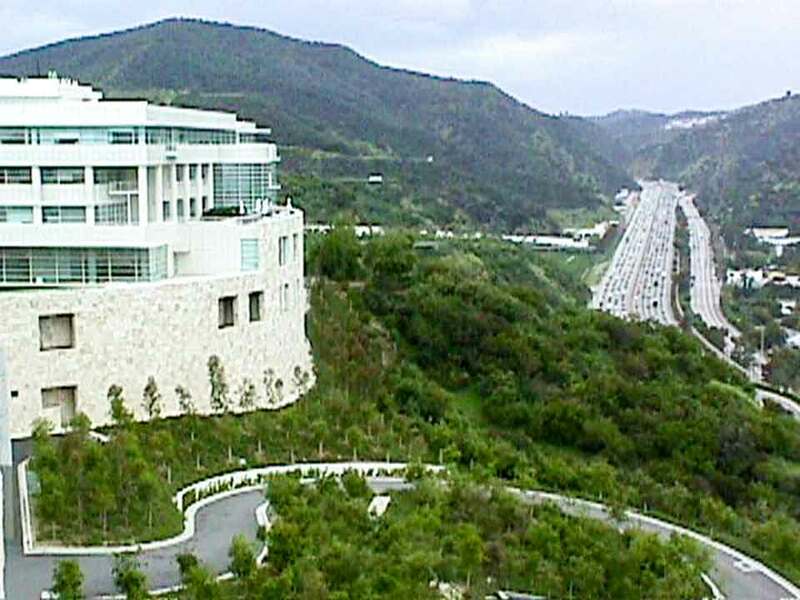 The Getty Center sits on a hill in the Sepulveda Pass overlooking the greater Los Angeles area and right next to the 405 freeway, a main north/south artery. 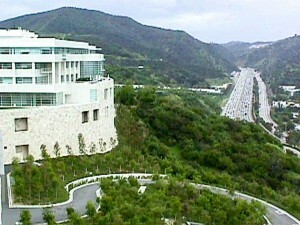 The Getty both stands out and blends in with its design and extensive use of Italian travertine stone. Visitors park in a structure and lot at the base of the hill and take either a shuttle or cable-driven tram to the center itself. Admission is free; parking has a nominal fee. Public transportation also stops at the Center. But, if you plan to see the Center, make reservations in advance; there is no spur-of-the-moment parking. Once at the top of the hill tram station you walk up a short rise and into the main entrance hall. Through security and you are in the plaza. The picture here shows a boulder fountain at the far end of the plaza looking back toward the entrance hall. The four main exhibit pavilions surround the plaza. The outside of the Center is as much of an artwork as the works of art inside the display pavilions. In addition to the architecture, the gardens are a living part of the design. 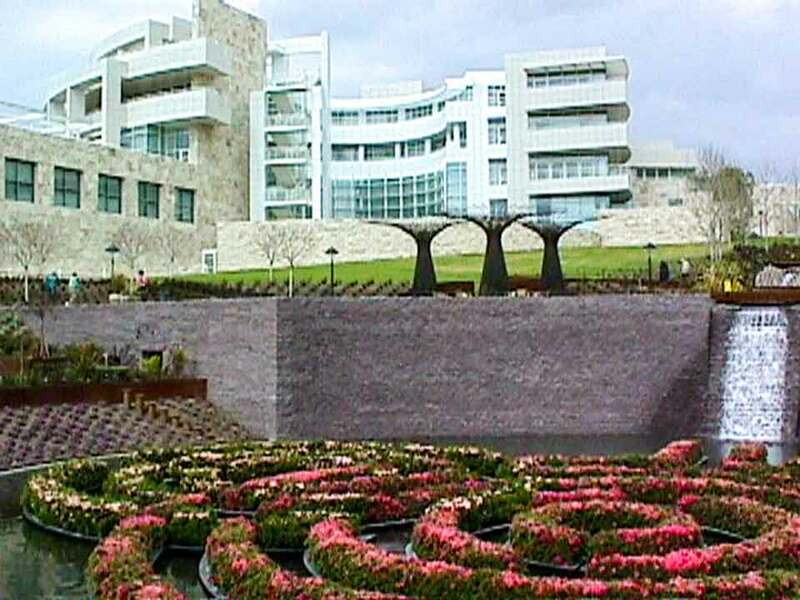 Pictured here is a portion of the central garden looking back toward the research center, a portion of the Getty Center where special materials from the collection are on display and there is a reading room for public research. The falls you see on the right side of the picture are fed by a stream that wanders through the upper garden area. The walkway through the garden crosses the stream in several places and, at each crossing, there is a different arrangement of rocks in the stream; so, each area of the garden becomes a different piece of artwork. At the far south end of the complex there is a cactus garden that looks out over the entire Los Angeles basin from the east to the ocean on the west. This panorama (stitched together from three pictures) shows a portion of that view. Please keep in mind that this is as it was in 1998 and arrangements may be different now. 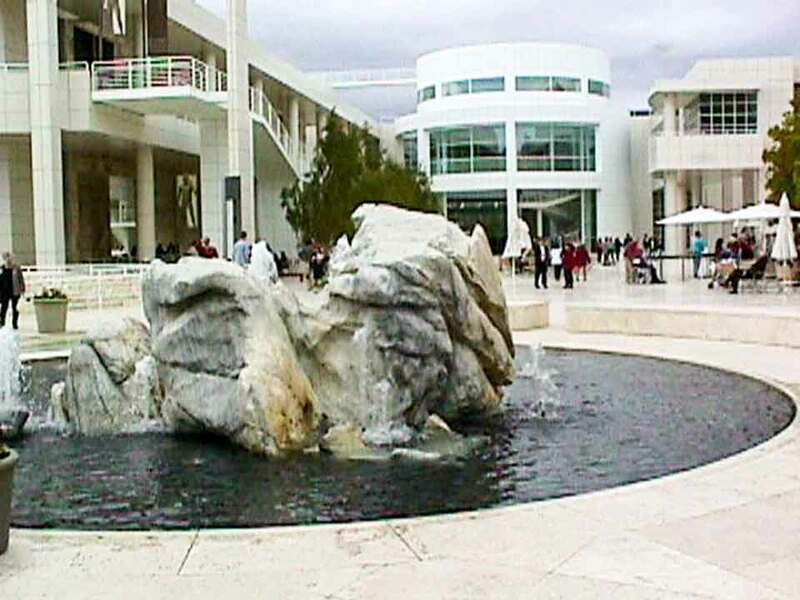 There are many works of art at the Getty Center; additionally, the type and content of the collections on display change at intervals. Basically, there are four pavilions: North, South, East, and West and each pavilion has two floors (the West pavilion has three floors). Each pavilion has an art information room where there are educational displays and even examples of various art materials you can get up close and personal with (needless to say while the art is generally on open display if you try to get close a guard is immediately at your shoulder politely urging you back). A painting by Rembrandt Harmensz. van Rijn. 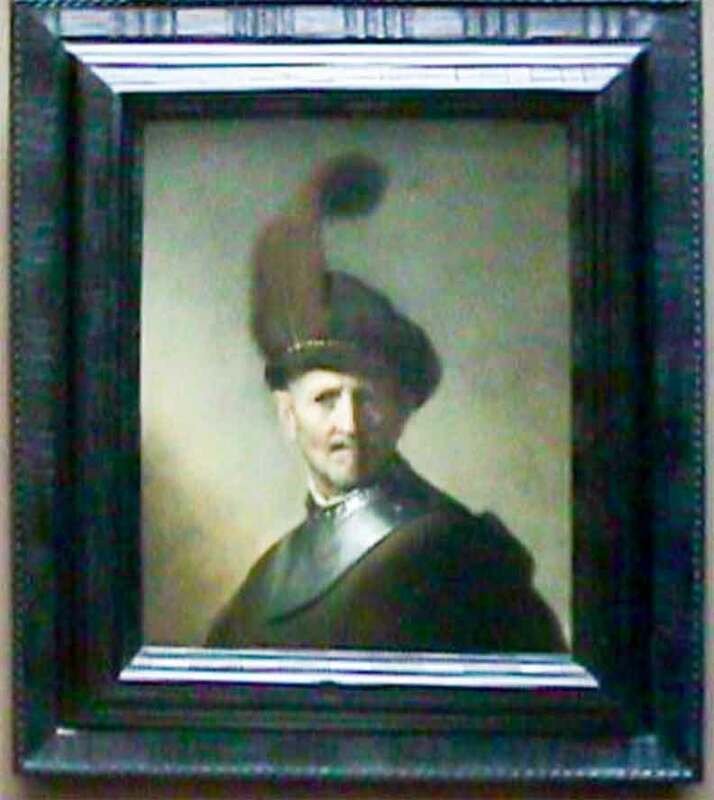 The painting is titled An Old Man in Military Costume and dated about 1630-31. 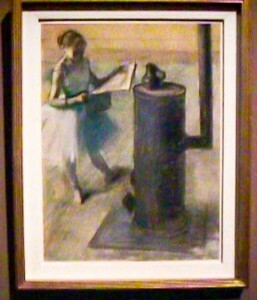 A pastel by Edgar Degas titled Dancer Resting. The painting is dated 1879 (approximately). The display is not limited to large items. 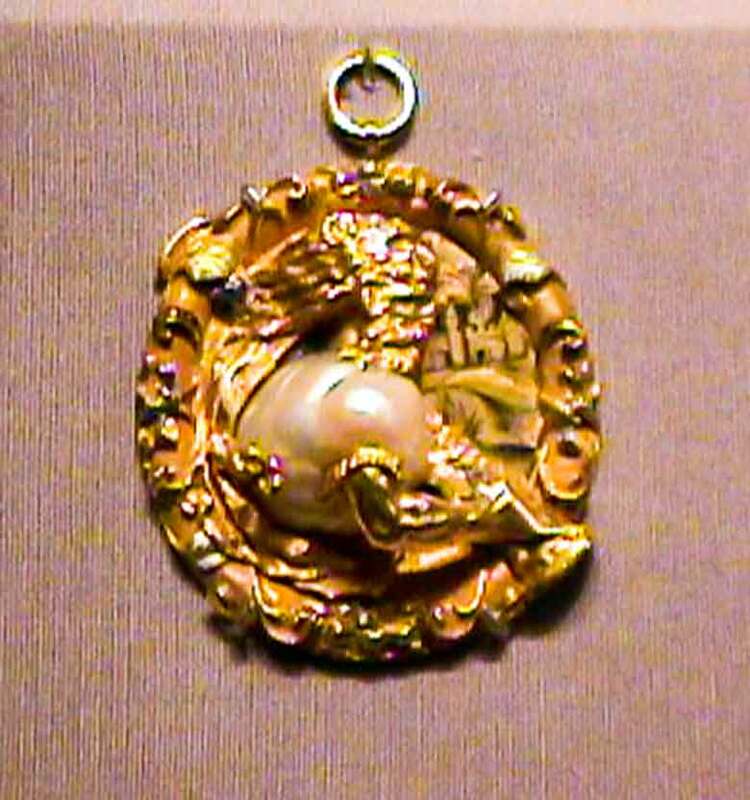 Here is a pendant of Hercules holding a large pearl possibly by Benvenuto Cellini and dated about 1540. 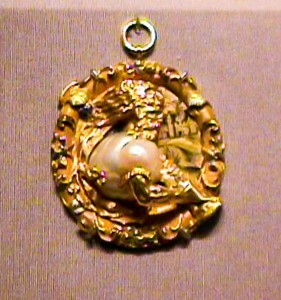 The pendant depicts Hercules raising the pillars at Cadiz, a rare subject of the French King François I. A statue of Minerva. The statue dates from 1775 and is credited to Joseph Nollekens. 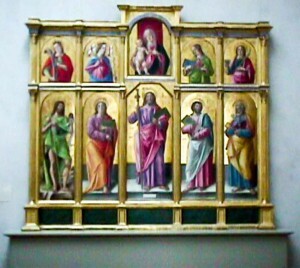 Saint James Major, the Madonna and Child, and Various Saints by Bartolomeo Vivarini is dated at 1490. 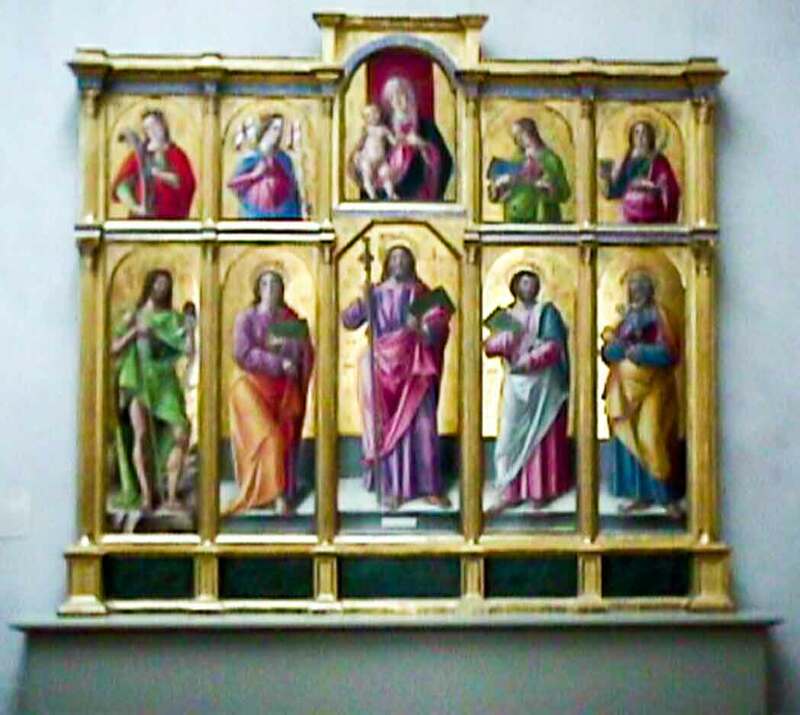 Note the hard-edged, sculptural treatment of the figures and dissonance of the colors. These pictures were all taken in March of 1998 using an early version of the Sony Mavica camera which stored the 640×480 originals on a floppy disk in the camera. The camera did not write EXIF data for exposure or lens information. The 640×480 originals have been edited in Adobe Lightroom and then further edited in Adobe Photoshop to enlarge the image to either 150% or 200%. The images were then optimized for download size on the Web. They are best seen if you stand back a bit from the screen.